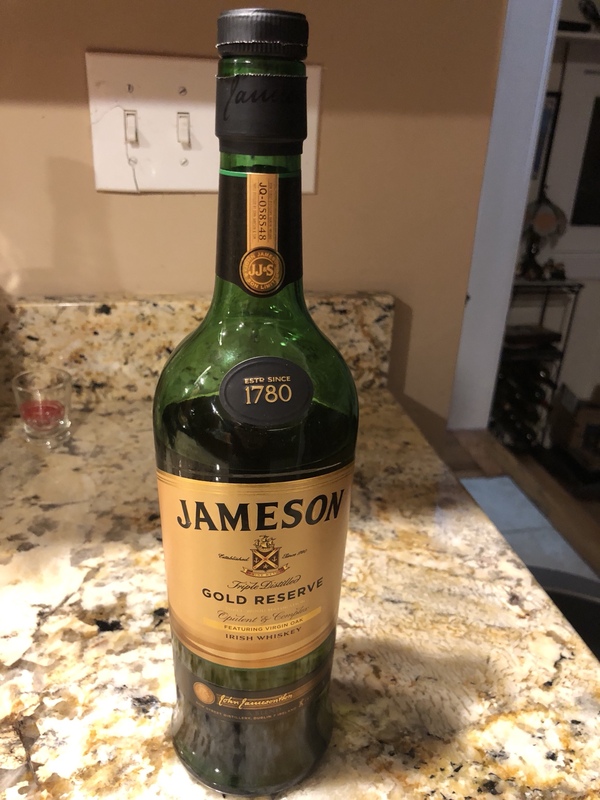 My wife got me Jameson Gold Reserve for valentine’s day. Love this stuff....great night sipping by the fire. The Pub / Pats or Eagles...and more importantly what are you drinking and cooking! 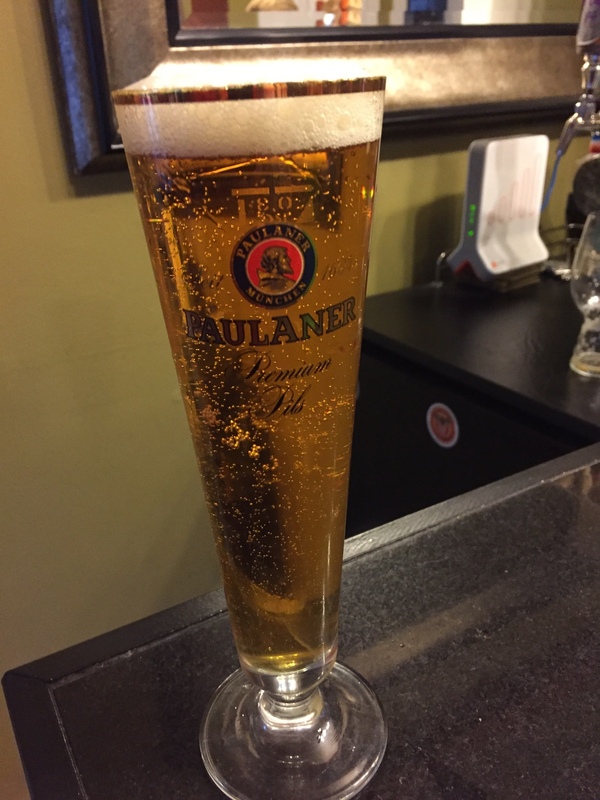 Make your pick and share your beer and food menu! just picked up my fresh pressed juice from the orchard. 1.055OG and 3.35PH. boiling down some to 2qt of concentrate to pump up the OG....smells awesome boiling right now! cote des blancs at 58F. Have not opened BeerSmith since probably May, and ran update for new version. Some nice new changes I see on first glance. Anyone have any likes / dislikes / bugs with the new software to report? Having some great beers while in Boston. Just cracked one of these...not a fan. Says "with hint of mandarin orange". This Pils is really sweet to me. Not drinking this again. Got these boys on my agenda for tonight....salivating already. 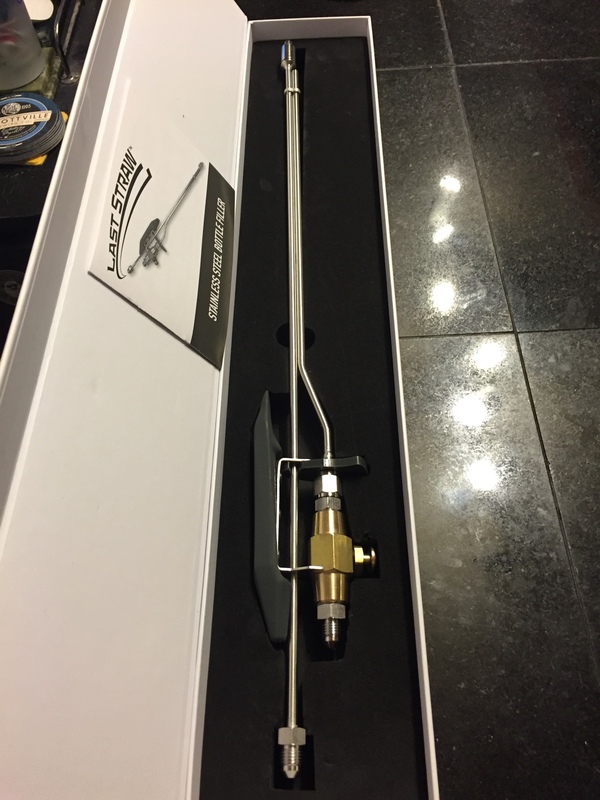 Finally broke down and ordered my new weapon....the bottle filler. Whipped a batch of seafood and sausage jambalaya. Pairing quite nicely with the alt. Mythbuster exbeeriment time: does use of gelatin to fine beer not have an impact on the head formation and foam attributes or does it. Interesting discussion on head formation and retention as it relates to use of gelatin to fine beer. Anyone interested in running an experiment and posting results, please do so here. ideally, brew batch of beer of choice- average hopped beer less than 50ibu and if so inclined, another batch as secondary experiment with differnet malts and hops and IBU of choice. Split the batch equally and fine 1/2 with gelatin, 1/2 without. carb both the same (bottle or keg) and then evaluate the head formation and retention, and if you choose also compare any other differences...flavor, aroma, etc. Post your results and pics here. I will do this with my dortmunder that I'm brewing this weekend, so in about 3-4 weeks I will post results. ended up with extra honey from mead, so thought maybe make a honey lager. never used honey in a beer, so looking for some ideas on amount to use, how to use utilize it, and recipe thoughts for a pale honey lager. Mead Makers- looking for some guidance on making small batch (3-gal?) of mead for first time. Combine honey with one gallon of water in a stock pot and heat to 180 degrees F. for 10 minutes. Stir occasionally and skim any white film off of the surface. Do not boil. Remove pot from the heat and place it in a sink of cold water to reduce its temperature. Stir every 10 minutes and change the sink water, do this two or three times. Add 1 gallon of water, acid blend, yeast nutrient, pectic enzyme and grape tannin. Stir well. Pour the blueberry puree into the kettle and stir well. Clean and sanitize your fermenter pail, lid and airlock. Open the packet of wine yeast and pour it into the fermenter pail. Pour the must into the fermenter. Add water to make a full 3 gallons. Close the fermenter pail, attach the airlock and ferment at room temperature for 3 weeks. 1st Racking: Racking mead should be done by gently siphoning. We do not recommend using wine pumps or filters. Mead is very susceptible to oxidation. Move the fermenter pail into racking position at least 2 days before actually transferring the mead. This will allow time for the sediment to settle. Clean and sanitize a 3 gallon carboy, stopper, air lock and siphon set up. Crush 3 Campden Tablets and place them into the carboy. Gently siphon the blueberry melomel into the carboy. Be careful not to disturb the sediment. Add water to bring the level of the mead up to the bottom of the carboy neck. Close the carboy with an air lock and ferment in a dark place for at least 30 days but not more than 45 days. 2nd Racking: Clean and sanitize the fermenter pail then siphon the mead from the carboy to the pail. Clean and sanitize the carboy and repeat the 1st racking step, but this time only use 2 crushed Campden tablets. Allow the blueberry wine mead to rest in a dark place at least 30 to 45 days or until it clears. 3rd Racking: There is no substitute for time when making mead. The more mature the mead is prior to bottling the better it will be. A third racking will allow the mead to brighten and age. All recipes except Sweet Mead do not use any additives on this racking. Bottling: blueberry melomel can be bottled as you would wine or beer. I prefer to bottle in 375ml wine bottles or 7oz clear beer bottles. These smaller sizes reduce waste caused by leftovers. If the beer bottle method is used the caps must be the oxygen barrier type. Wine bottles should be closed with a 1-3/4 inch cork. Gently fill each bottle but do not cap until all are filled. Cap or cork the bottles. Store them upright in a dark cool place. Mead will take time to age and in my experience it will undergo many changes. A batch which tastes great a bottling time may taste bad after 3 months in the bottle and then fabulous at 6 months. Other Fermentables / Dew u think? Mt. Dew wine ...Umm this is interesting. I would have thought some preservatives would have been in there but guess not. Might have to try 1 gallon test batch just to see.